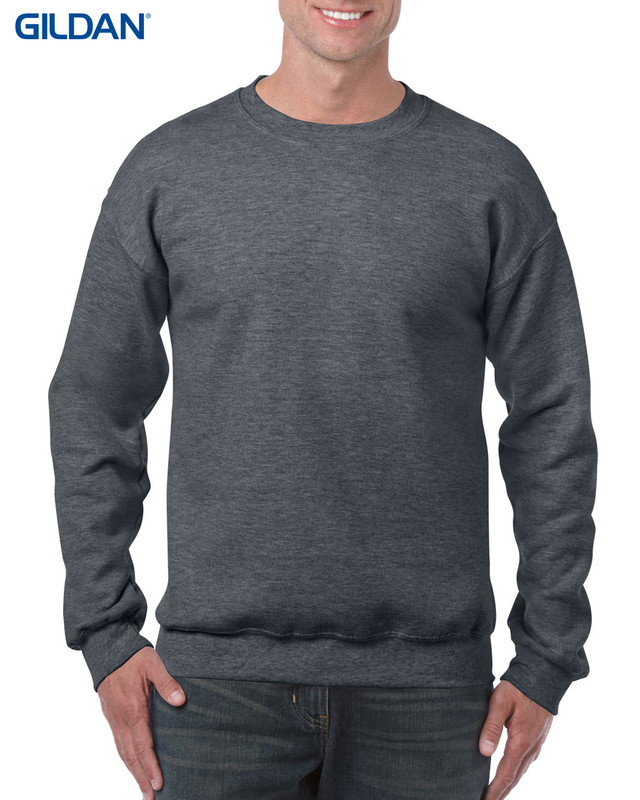 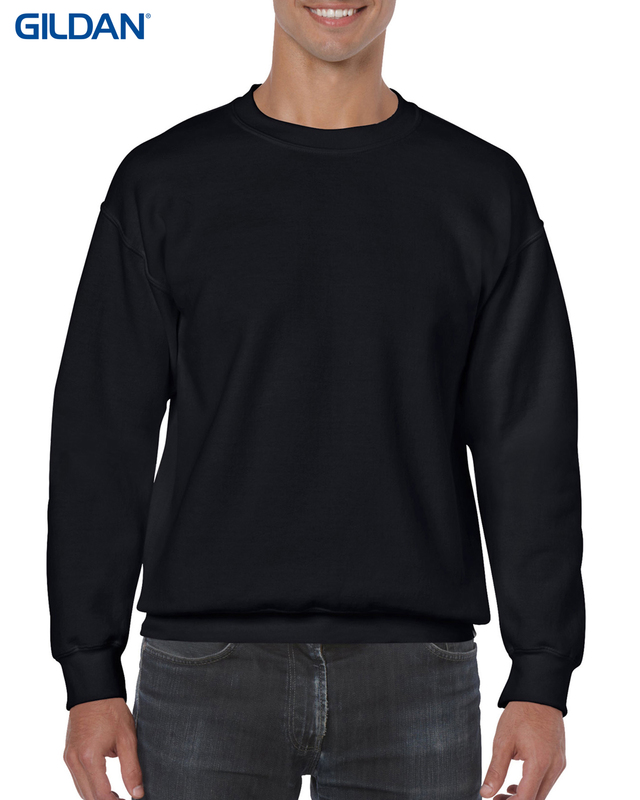 Unisex GILDAN Long Sleeve crew neck sweatshirt 50% Cotton 50% Polyester 262gm. 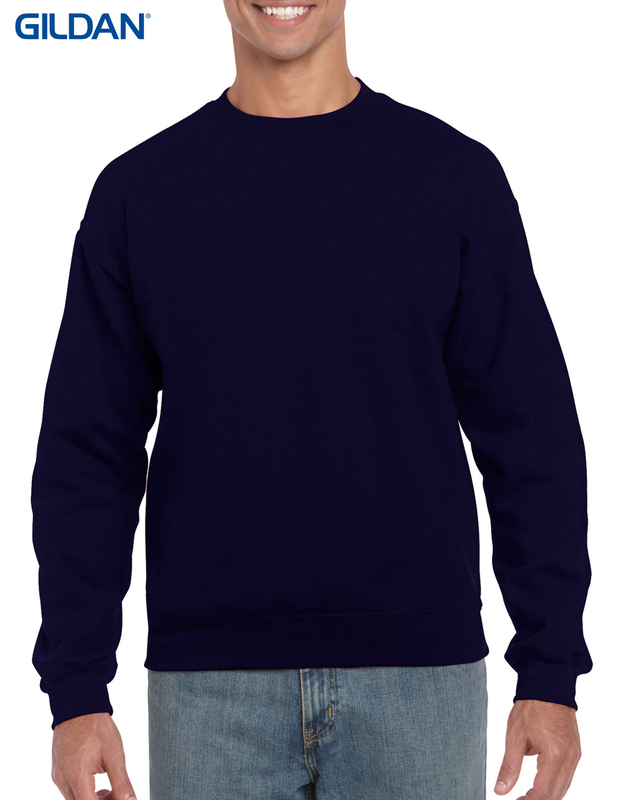 Preshrunk, double needle stitching, set in sleeves, air jet yearn to eliminate pilling. 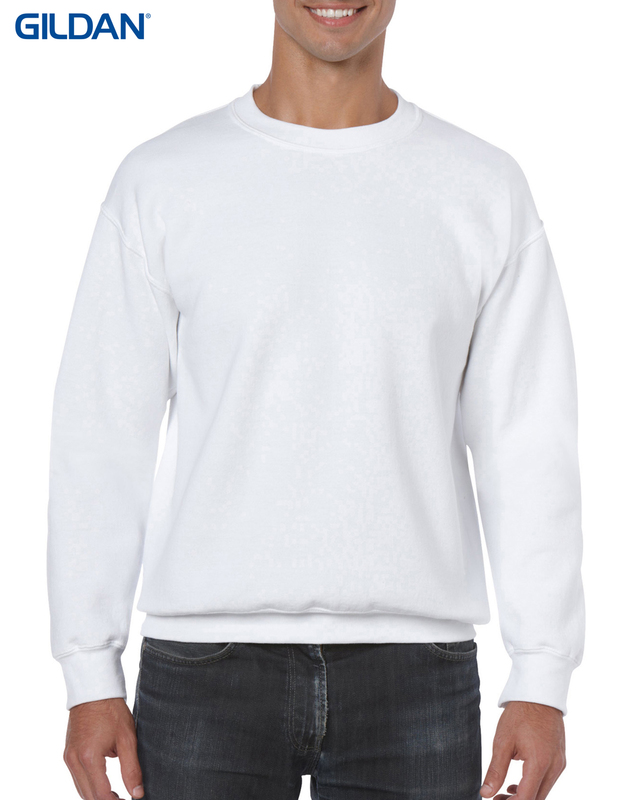 Sizes S-XXL. 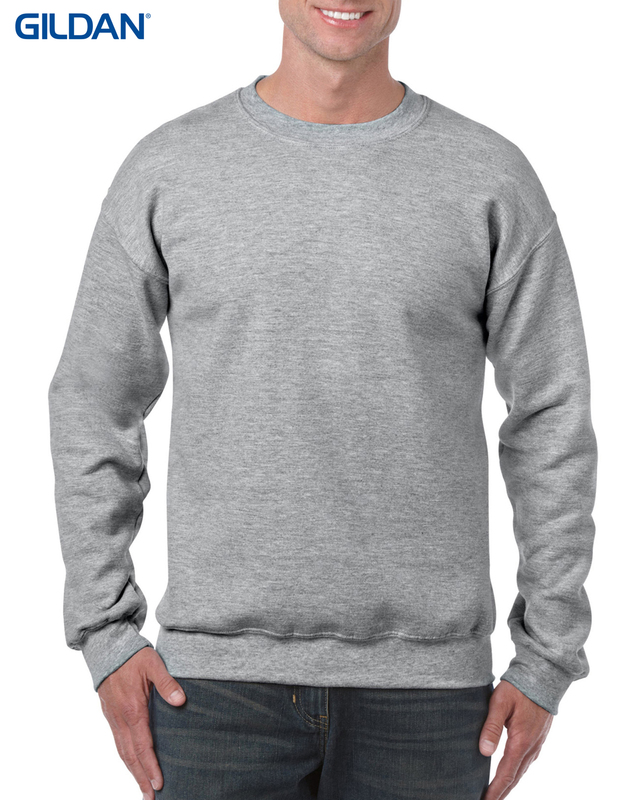 Available in 3 colours.